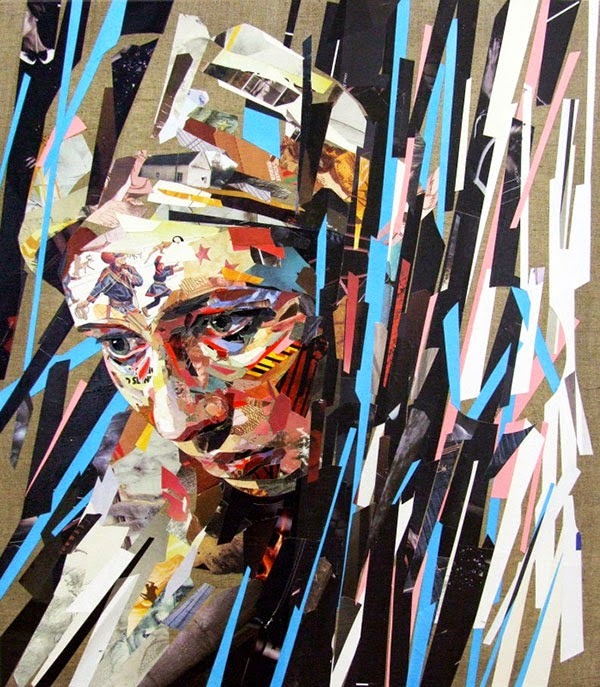 Collage portraits of people using old magazines and books from thrift stores. 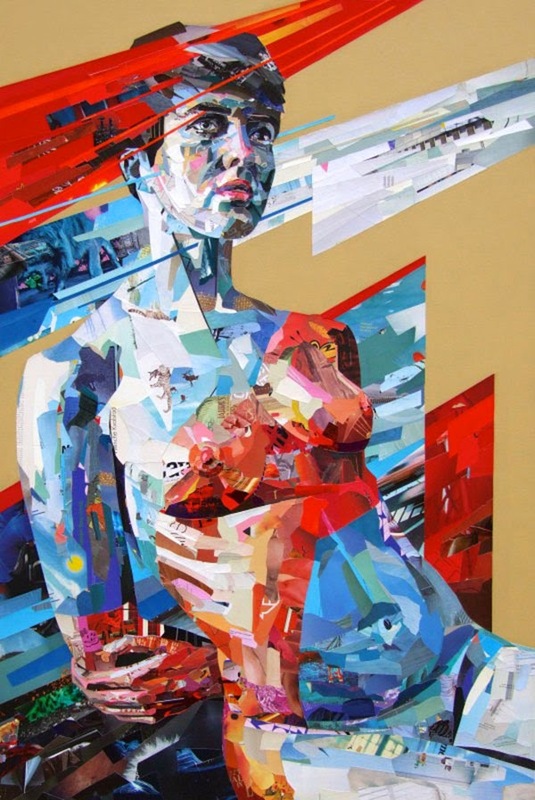 The medium adds fluidity and dynamism to what is essentially a traditional portrait by allowing for quick breaks between figurative and abstract elements. 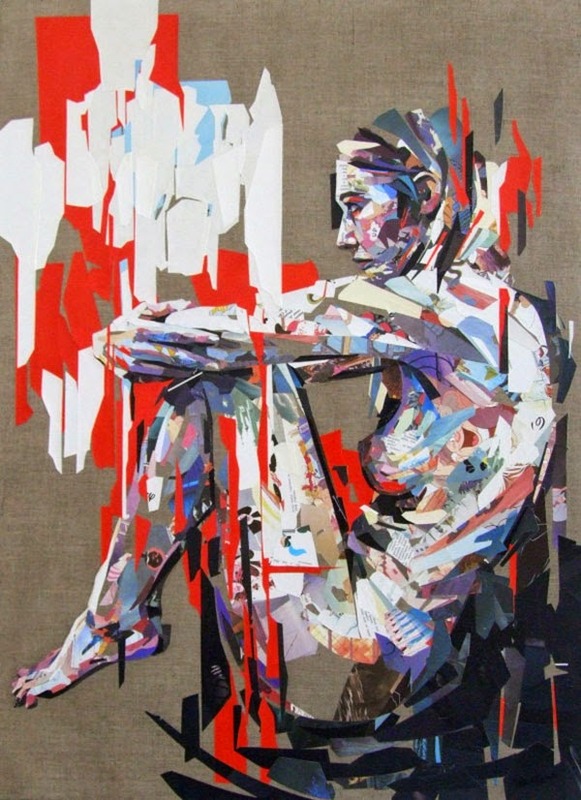 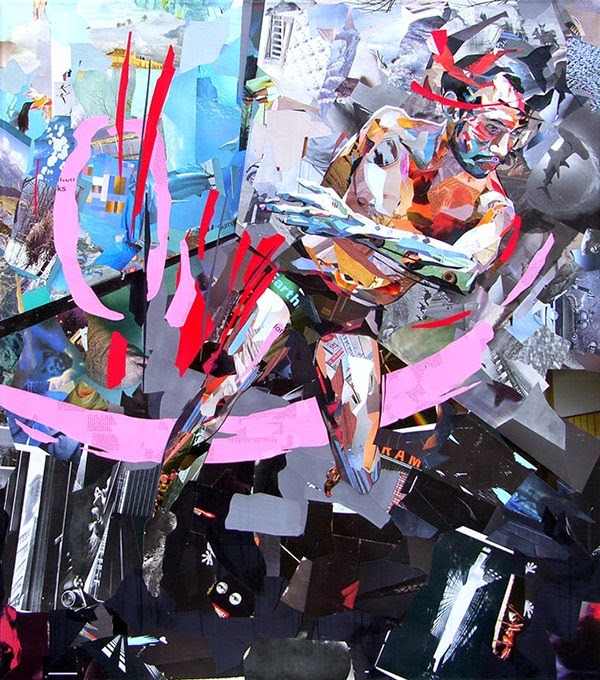 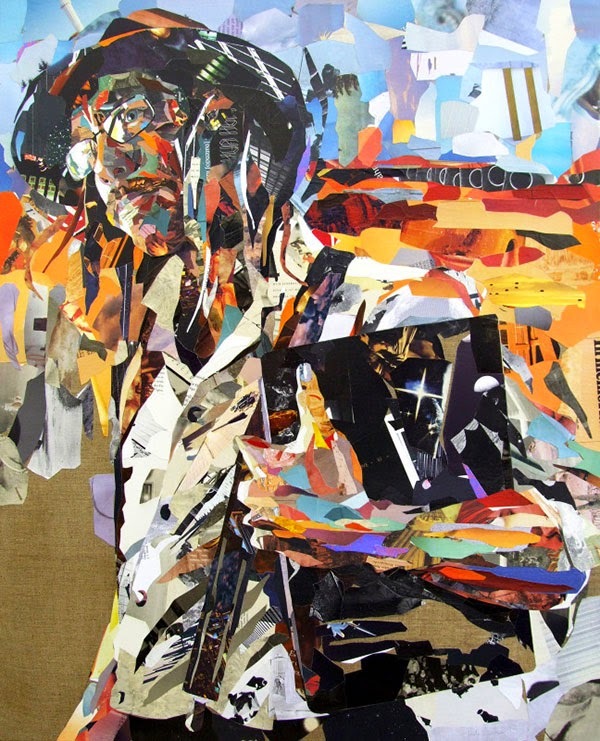 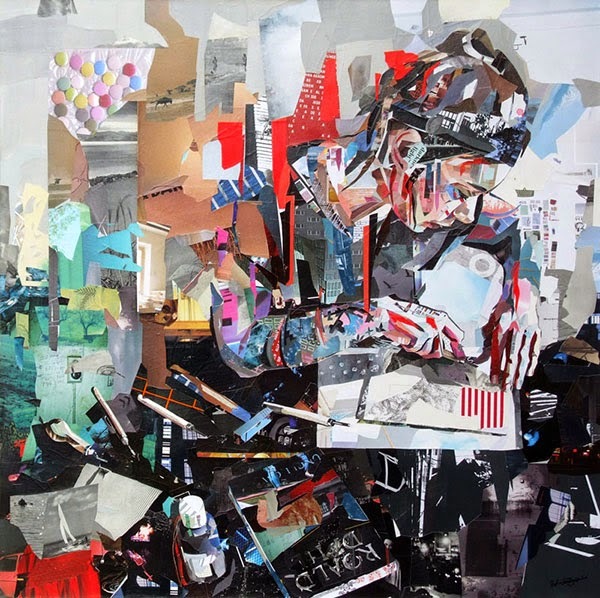 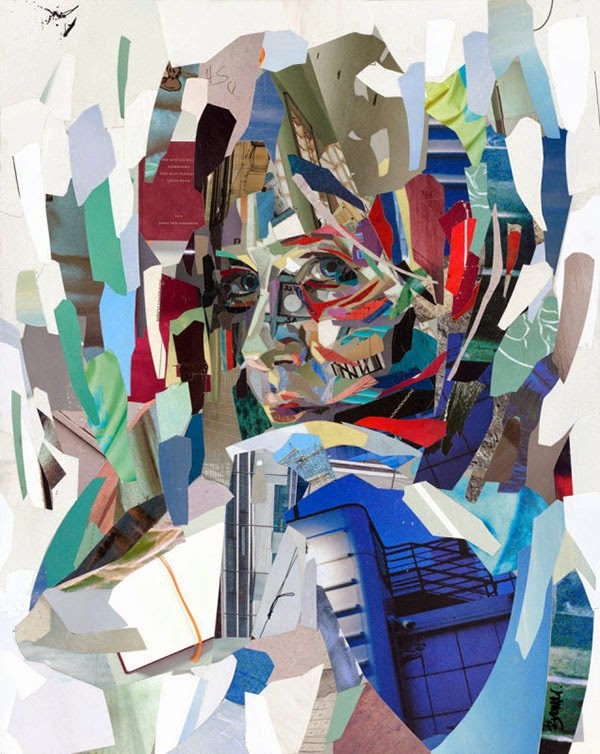 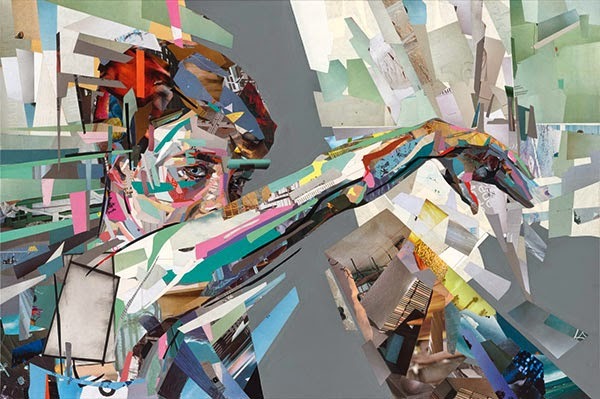 Patrick Bremer studied painting at Wimbledon College of Art in London and currently lives and works in Berlin.